File a petition for Chapter 13 bankruptcy petition. Include in the petition a complete schedule of all your secured debts, including car loans. List the name, address and phone contact number for the lender, as well as the outstanding amount of the loan. The court will notify the lender that you have requested bankruptcy protection and that all collection actions must cease while the bankruptcy is pending. You may keep a secured car loan outside of the bankruptcy if the loan payments are current and you make the monthly payments through automatic deductions. Draw up a repayment plan that lays out the monthly payment you're able to make to the trustee, as well as the amount you propose the trustee distribute to each creditor. An attorney can guide you through this process and explain the law on secured debt (for which the lender can claim collateral, such as a car). 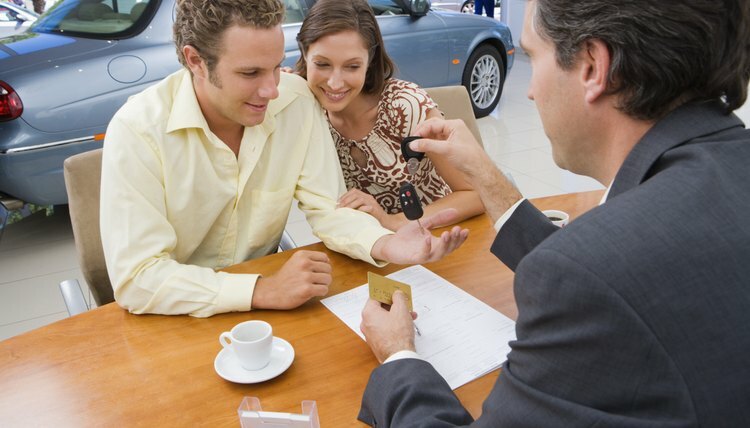 You may include the remaining car payments in the plan, or hold the car loan outside of the bankruptcy and continue making payments separately, on your own. You may also propose to roll past-due amounts into the plan and make current payments separately. Your lender may agree to write off part of the past-due amounts in order to avoid repossession of your vehicle. Attend the confirmation hearing, also known as a 341 hearing, at which the trustee meets with you, and any creditors who attend, to confirm the repayment plan. If there are no objections to the plan, it will go into effect at this hearing. Creditors have the right to object to the plan and file a motion to lift the automatic stay before the plan is confirmed. If your plan conforms to the legal guidelines, the court will deny the motion in most cases. Continue making monthly payments to the court trustee for the duration of the plan. The trustee disburses the plan amount to each creditor, including the auto lender. As long as the cay payments are included in the plan and the bankruptcy is pending, the creditor may not seize your property. At the end of the plan, the court discharges all debts that can legally be discharged, even if there is still an outstanding amount due.